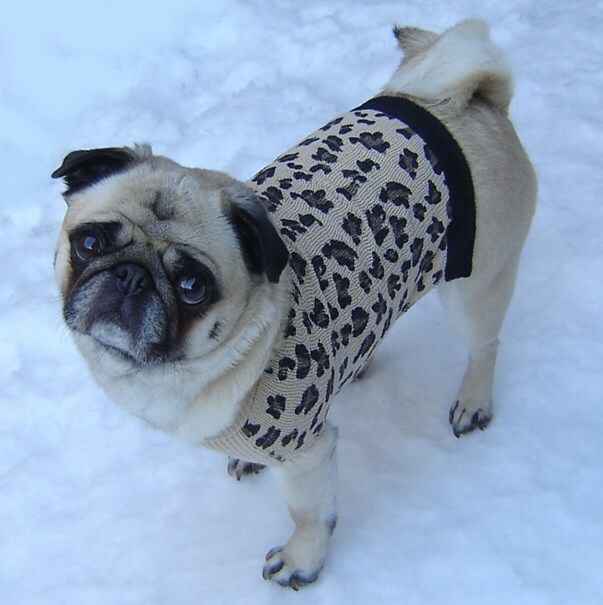 Pug Leopard Sweater. . Wallpaper and background images in the Cute chó con club tagged: pug pugs leopard dog dogs sweater cute puppy puppies pets. This Cute chó con photo might contain pug, chó pug, pug dog, and pug con chó pug.